because of it’s bright primary colors and fun prints. I separated the layer cake into 2 sets of colors. nicely for my sashing pieces. Play with your layer cake pieces until you are happy with the arrangement. There really is no wrong way to layout this quilt top. 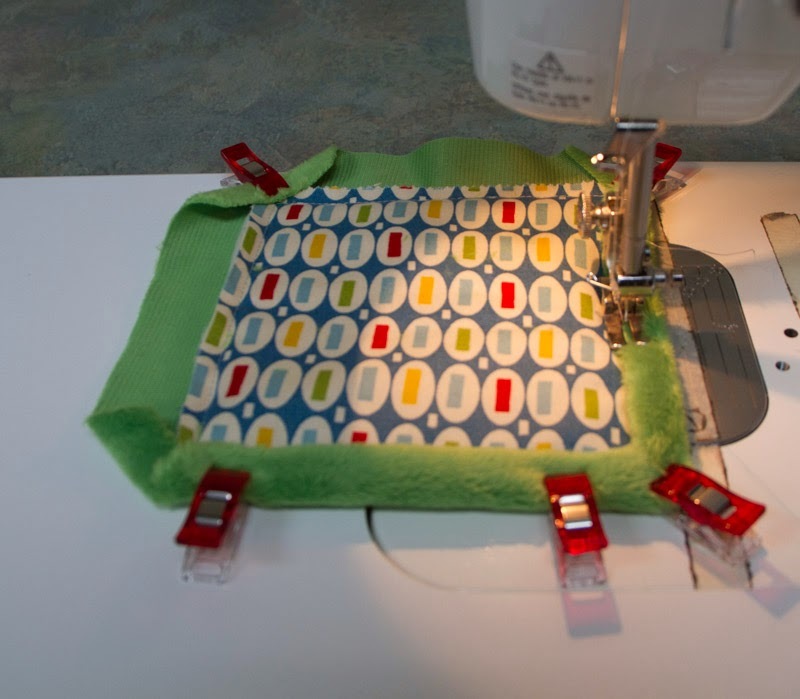 toddler or lap quilt and can be made in a day. If you are still needing some holiday gifts this project is perfect. squares in the Layer CakeTM. please see our post from Maggi Honeyman. or maybe I should say less. Check out the two mini versions in the picture above. I am kind of obsessive about miniatures and moda’s precuts. pattern went together that I couldn’t stop myself. American Jane‘s future group, Ducks in a Row. car seat or daycare quilt. would make a great tag along quilt or doll quilt. The technique is the same for the smaller versions of Layer Cake Lemonade. Just pick the fabrics for the squares and for the half strips. trimming after all were rows were sewn together. The bindings are done all different. turned inside out, and top stitched around the edge. for my Layer Cake version. around the front for a soft quick binding. Trim the backing and batting 1” from the quilt top. being careful not to cut the backing fabric. this will help in mitering the corners later. Next fold the corner in again touching the quilt top. At the same time start folding the backing towards the front. then fold again to create the binding. Wonder clips are the best in helping while you get our miter to look good. so it will disappear after it is sewn. And keep your needle down at the corners when you pivot. Pivot at the corner with the needle down to catch the miter the corners. What a nice finish for a soft snugly quilt. favorite moda precut is and why. Layer Cake Lemonade and miniatures. Thank you to FQS for sharing this pattern with us. Previous Previous post: Moda Candy–Oh Sew Sweet! I love all precuts because it takes the pain out of making myself cut into such beautiful fabric yardage. Thank you for your site as I love it and learn bunches, and also thank you for the chance at this giveaway. I love Jelly Roles. But I think every Precut has its benefits. Adorable quilts! My favorite precut is the layer cake. The size is so versatile and there are so many great patterns that use them. Thanks for the chance to win. I am terrible at naming my favorite anything! I think right now my favorite is the Charm Pack although the Layer Cake is a strong contender for its versatility. Love the giveaway! I love charm packs. They are so versatile and are a great way to affordably get all of the fabrics in a line. Thanks for a great giveaway! Great ideas – I usually go for charm packs as they are in my price range for a treat! Thanks for a great giveaway. That is a really hard question because I love them all. I think layer cakes are probably the most versatile, but then it’s nice to go whole hog and get a fat quarter bundle. Then you can do most anything. I love how you made the pattern up in the two alternate sizes. Thanks for the inspiration. So far, a fat quarter bundle seems to be the most versatile, then a jelly roll. I have purchased a few layer cakes and charms but haven’t had a chance to use them yet. I’ve got a big stack of projects lined up! I love Charm Packs! I tend to sew small projects and I can make one last thhrough several pouches and potholders! Thanks! So colorful and absolutely charming! I love all precuts! I think charms are my favourites right now as they’re so affordable and there are so many great patterns for them. I use mostly charm packs because they fit my budget best. My favourite is fat quarters. If I really like a collection, charms, jelly rolls, and layer cakes just don’t last long enough or give me as many options as a fat quarter bundle. I tend to make large quilts so more fabric is always better. i bumped up the pattern size to a twin quilt using just 2 layer cakes, 2.5 yards for the border, and 6 yard for backing. Should be really simple and fast to make a quilt with the pre-cuts. I love fat quarters as it gives you so many options. Charm packs fit my budget better so I was glad to see tips for making this pattern using them. Being new to quilting I don’t have a lot of experience with different pre-cuts aside from charm packs. 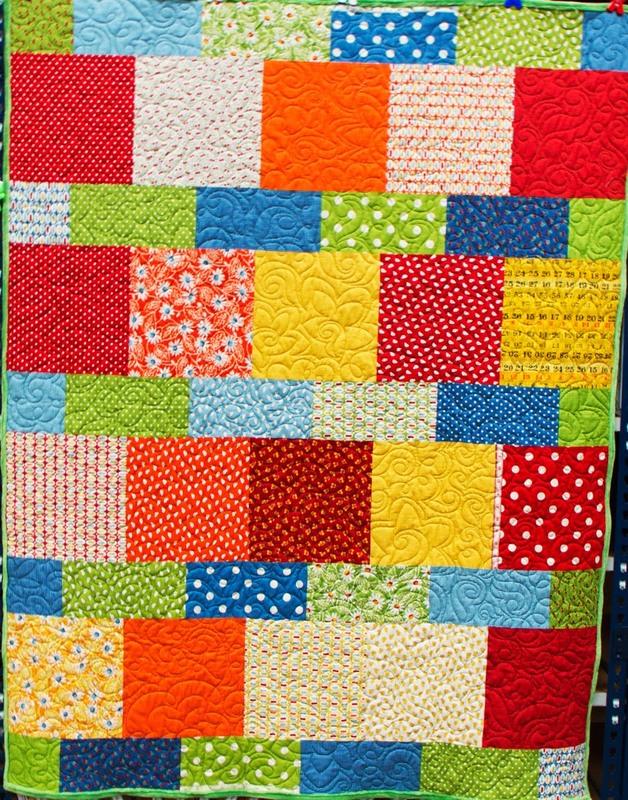 I have one layer cake so I will be making this quilt! Thanks. I think layer cakes because I love being able to see so much of the print! I love the charm packs, including the mini charms. There are also so wonderful patterns for jelly rolls that I would love to sew. All pre-cuts are amazing, they save us so much time and provide us fabric in the entire line! I love layer cakes. You get the complete line of the fabric and layer cakes can be used by themselves to make a quick quilt top or you get lots of charms squares out of layer cake too. This is a great quilt pattern. I love the look of the one you made! I can’t wait to make my own. Oh I love how you made 3 different quilts! My fave Moda precut would have to be the charm pack! I love getting the entire line in one little lovely package! I’m also kind of addicted to collecting charm packs! 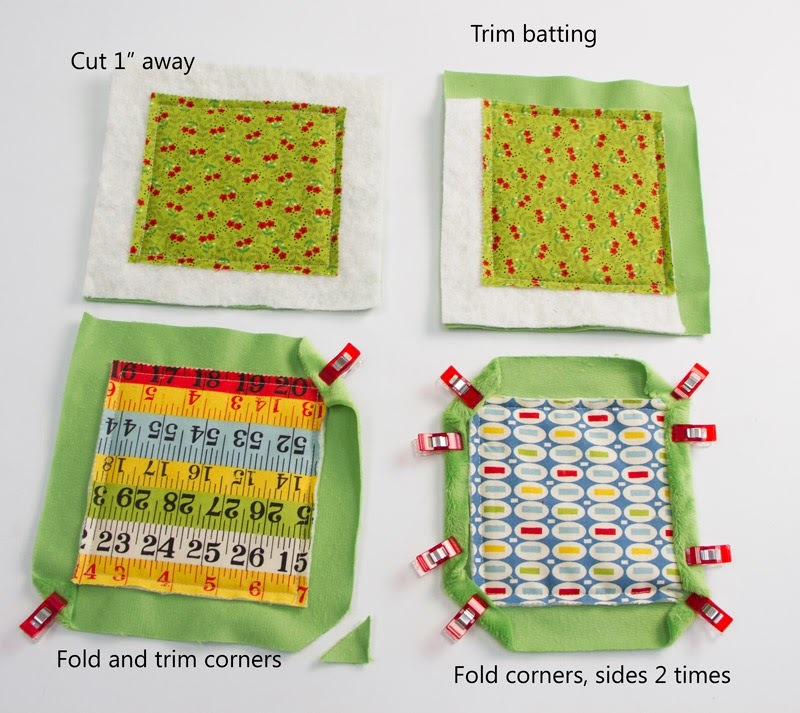 The are perfect to make a quick quilt! I’ve used them for tumbler quilts, hexagon quilts, simply sewing together the 5 inch squares and they are perfect for Schnibbles patterns! Thanks for the awesome giveaway! I like ALL the precuts, but I think the layer cake is my favorite. It is so versatile as you can make a large quilt or make anything you would make with the smaller cuts. Layer cakes are my favorite…they are so versatile! Thanks for the giveaway! I really love all the precuts, and it’s quite difficult to decide which is my favourite. I’m going to go for the layer cake, as it’s so versatile. Right now I love Good Fortune with all of the pretty purple prints. 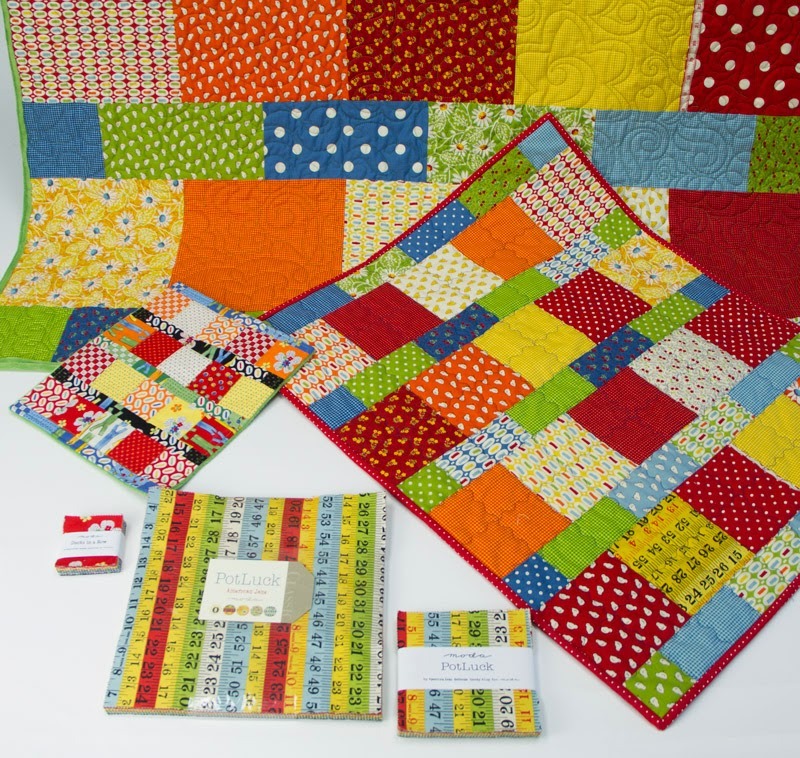 Love your multi-size quilts! So clever. Pick one? Not sure I can! 😀 Um…I guess fat quarters and charms. I think those are the most versatile cuts. 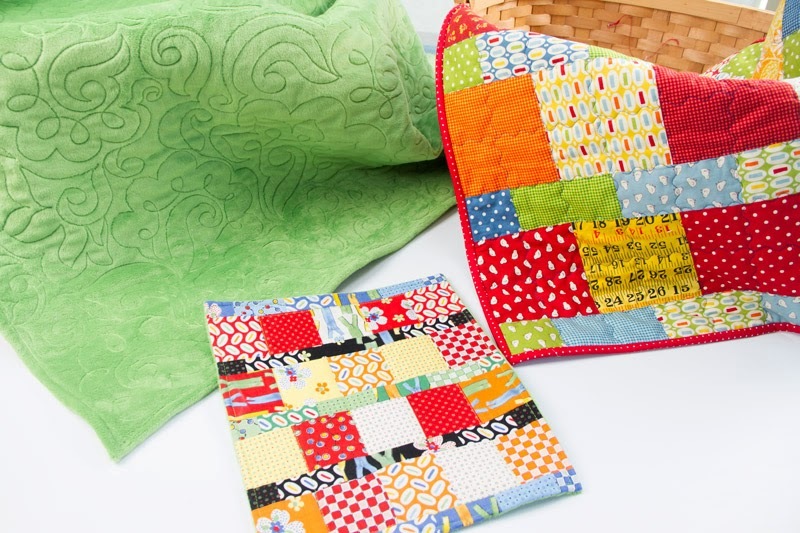 Those little quilts are adorable! I think my favorite precut would be a layer cake since I do a lot of scrappy quilts and 10″ squares can be cut to lots of different sizes–the more fabric, the better!! My current favorite is the mini charm! Tough call…I love the versatility of layer cakes, but would probably have to go with charm packs as my favorite, since they make baby quilts so easy to put together. Thanks for the giveaway! Precuts are the best thing since sliced bread! I love jelly rolls and charm packs. I like the versatility of the Layer Cakes and have 5 kits to make-cant wait. Just finished a flannel rag quilt using Layer cakes. Such a good nap cover. I also have charm packs galore to work up with jelly rolls. Charm squares are my favorite. One pack is perfect for a baby quilt, and the precision cutting is already done so I can get to the fun part: piecing! 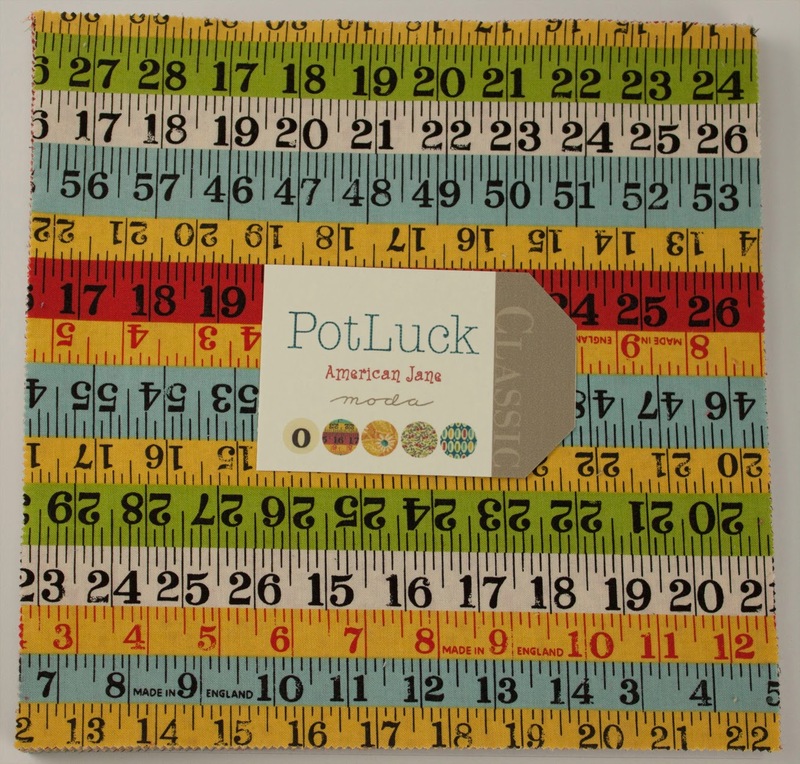 This is an awesome version because I love the Potluck collection. Such fun designs and great colors. I buy a mixture of precuts, but I think because of the ease of use the Charm Packs are probably my most favorite. I love the idea of precuts but I haven’t gotten the chance to make anything with them yet! I like charm packs the best, mainly because there are about a billion (or at least it feels like it), HST projects that I want to make, and using charm packs would speed up the piecing considerably. I love the 5 inch charm packs the best. You can do so much with them – from a small baby quilt to something huge. I have a stash of them just waiting for a project! Thanks for the chance to win! I love jelly rolls and 5 inch charms they are easy to use and very versatile. And best of all little to no cutting required. Thank you for the chance to enter the giveaway.